The power of online media has been put on display by "The Fantastic Flying Books of Mr. Morris Lessmore." As one of five nominations for the 2012 Academy Awards, this animated short film will reach more individuals than ever before. I would say when Hollywood chooses to put their movies online for free consumption, it's a good day. However, this animated project was created by Moonbot Studios in Shreveport, Louisiana. Perhaps being far away from the major studios empowered them to reach out to new media and new channels. What does this have to do with an Optimist Club? Simple - Optimist Clubs are geographically diverse, and technology helps us reach more people in more locations than ever before. That should help us to connect more, share more stories, causes, ideas and allow us to solve problems together. Vimeo is an alternative from popular and well-known YouTube. As an Optimist Club, you may want to use their free tools to broadcast your message. One of the benefits I've heard about is that on Vimeo, it is easier to keep your audience on your channel. In a world ever-shortening attention spans, I think you'll agree that keeping visitors long enough to hear your pitch is a daunting task. Find out more about Vimeo here and be sure to share your videos with me. Thanks. Recruiting younger members is on the minds of most service club leaders. How do we do it? What will attract the millennial generation to join our cause? According to Twitter, the way to attract and influence the younger generations is to be campy. In their recently uploaded recruiting video, the geeks tell all about what it's like to work @Twitter. What's important here is they are telling their story at the level of the individuals they hope to attract to their team. Old fuddy-duddies need not apply unless your unique qualities are so extreme that you can appreciate/tolerate/compete with their sophist (icated) humor and unparalleled skills. Watch the Twitter recruiting video to learn more. Would camp work for your Optimist Club? Think about it, I imagine that the inside jokes your members share might be considered campy by some; however, just as the nonsense in this video may not appeal to all, neither do your old jokes. Find a clean slate and start fresh and I promise, you'll attract new members from all generations, genders and ethnicity. Let me know how it goes, okay? Have I told you that I'm working on my Master's degree in Journalism Mass Communications with an emphasis in Public Relations at Kent State University? I'm a rather private person so probably not. I am happy to report that it has thus far been a rewarding experience for it has encouraged me to reflect on how I feel about my life as well as my work. Hence, the direction the Experience Optimism blog has taken since the beginning of the year. In the current segment, we are learning the craft of storytelling via the books (Disclosure: Amazon affiliate links) Storycraft by Jack Hart, Fascinate: Your 7 Triggers to Persuasion and Captivation by Sally Hogshead, and The Story Factor by Annette Simmons, among other assorted readings and lectures. As my fellow students and I have shared our thoughts and feelings in the course, I have been struck by the age differences, specifically, how we recall similar stories from our childhood, but yet we tell them differently. Some tell them with hope and anticipation; others with experience and resolve. It's made me a bit homesick, but not for the place. I really miss the people who were such a great part of my life and I think that I am finally grieving for family members who have passed, especially my mom, dad and brother. They've been gone quite a while and I thought I had moved on. Of course, that's just it; I had moved on without completing the grieving process. The stories that I'm recalling, and sometimes sharing, hurt, heal and soothe. The song I've chosen for Music Sunday at Experience Optimism has the same healing qualities. Please listen to "Can't find my way home." Written by Steve Winwood, it was first released by Blind Faith in 1969, a band power-packed with artists: Steve Winwood, Ric Grech, Ginger Baker and Eric Clapton. Steve Winwood and Eric Clapton came together to perform "Can't find my way home" at the Crossroads Guitar Festival in 2007. Their performance is also a reflection on who they were together and who they are as individuals, providing proof that even though we go our separate ways, there is comfort in the music and stories we share. Dogs really are my favorite things. I know I talk a lot about other favorite things, but I think that it is because most of the time I choose to view life like a dog; I am curious about most activities, people and ideas that come my way. 4:00 pm – Looked out the window! My favorite thing! The point of this little exercise is that you should do everything with enthusiasm. Life can get rather routine and monotonous. Being in an Optimist Club can seem repetitive for we do many of the same programs over and over again every year. Some call that consistency. Some call it boring. I call it it necessary and encourage you to see the new people and new challenges that appear each year. It's up to you to bring enthusiasm to the forefront every day. Your life is worth it. You are worth it. 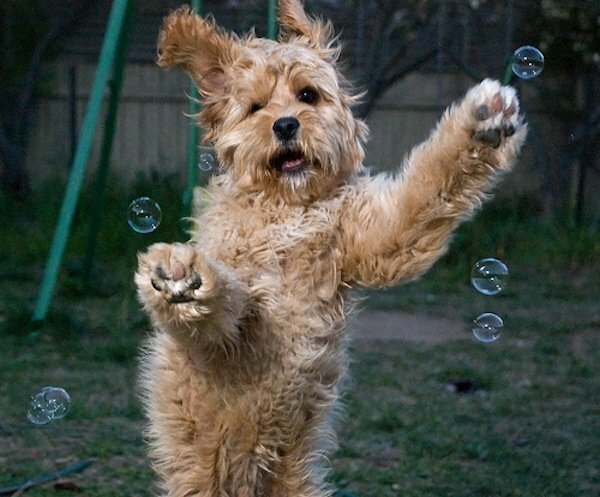 Like the puppy in the picture - go for the bubbles and keep smiling all the way. Picture courtesy of Karin Car Care. My last post focused on what I called a random anomaly from Google that brought something completely unknown and not requested into my search window. It's quite evident that the Google algorithm brings local content to the user, often based on what they have searched for before. While it makes me feel confident that the Experience Optimism blog shows up consistently first on my Chrome browser, I understand that is not true for others and honestly, it's a little creepy when the advertisements on my Gmail account mimic my messages a little too closely. But what also happens with the Google algorithm is they choose to link to what they have hardcoded as relevant material and that may mean your Google+ page instead of your current blog posts and social streams like Twitter. Does that make Google evil? The team at this website, Focus on the User, thinks so and they have created a tool that lets you search for more relevant results within Google. I've only tried it a few times, so I'm not giving it a thumbs up or down. Fair warning: it doesn't seem to work with Chrome so I guess that means I'll have to continue to dig a little deeper for new content when I'm searching from my home base. According to Wikipedia, "Wayne Cochran is an American soul singer known for his outlandish outfits and white pompadour." Oddly, "Last Kiss" was the singer/songwriter's last recording, made famous most recently by Pearl Jam; but this week, for some unknown reason, Wayne Cochran keeps appearing in my searches on Google and YouTube. That must mean something, right? So here it is, my Music Sunday choice on Experience Optimism, a clip of Wayne Cochran and the C. C. Riders on the Jackie Gleason show, "Get down with it." In case you prefer a more recognizable song and artist, here is Pearl Jam performing "Last Kiss." On the off chance that you might want to learn more about Wayne Cochran, you can find him today at the Wayne Cochran Ministries. No, I don't know for sure what brought this artist into my world this week, but I'm speculating it has something to do with searching from a different location in a new geographic region. Isn't geolocation amazing? Thank you, Jesus...oh, excuse me, I meant to say thank you, Google for this random post. Travelling to other Optimist Districts is always a pleasure for visitors get to experience the hospitality and traditions of a slightly different culture. Yes, we are all united under the Optimist International umbrella, but the programs we choose to conduct and the way they are organized often differ slightly, if not greatly froem club to club and district to district. I've heard it likened to speaking with a different dialect. One of the highlights of my trip to the Arizona District was to witness first hand the truly engaging Communications Contest for the Deaf and Hard of Hearing. 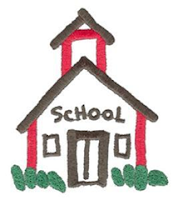 Some districts have abandoned this program. Others struggle to get three contestants so that a scholarship may be granted from the Optimist International Foundation and there are a few that have developed relationships within the deaf community and have multiple entries. The Arizona District is one of the latter. To accommodate the number of participants, they hold regional contests in order to advance 9 speakers to the District finals. These 9 students were remarkable in every way. Stories of feeling different and excluded led to stories of perseverance and ultimately optimism. Each speaker gave their presentation with just a little bit of levity and loads of optimism confirming that they are endowed with unique talents and a strong voice - a voice that is only assisted by their hands. 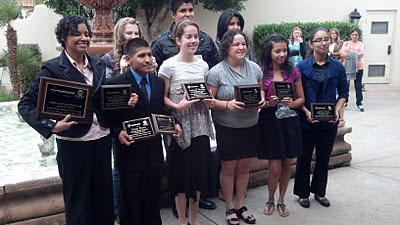 The Arizona District is so committed to the Communications Contest for the Deaf and Hard of Hearing (CCDHH), they have created a scholarship fund at the district level to match awards granted by the Foundation. This ensures that participants for every communications contest has the opportunity to achieve the same honors. Being from a district that is working hard to advance this program, I was truly excited by their commitment to the program and how they embrace and encourage the students to excel. I've often been one to take baby steps to get a program going, but I think in this case a more successful route might be to go as big as possible. The deaf population is small enough that individuals may be cloaked inside a mainstream program and those baby steps may not reach as many as quickly as needed. Soon I will be doing a little traveling for Optimist International to visit the Arizona District and to congratulate Tom Hogan, Governor 2010-2011 for earning top honors for all Optimist Districts for the past year. Tom led with distinction adding seven new Optimist Clubs to the district roster and achieving approximately 10% net new membership growth. That's very impressive anytime, but even more so in our slow economy. He and his team of leaders and members are well deserving of being named number one. Last year was an odd year for organization statistics for Optimist International. Then International President, Danny Rodgers insisted that deletions would not count against the districts for recognition purposes resulting in a number of governors earning awards for less than 100% achievement. It's difficult to try something new and he took a lot of heat for his decision. This year, with direction from the Board of Directors, things have returned to normal. Of course, most of us don't do what we do for honors and awards.We do it because we really believe that we make a difference through our involvement with Optimist Clubs and in Arizona, I know that is true. In fact, the Arizona District has added two new Optimist Clubs this month. So how are they starting so many clubs when others are struggling? 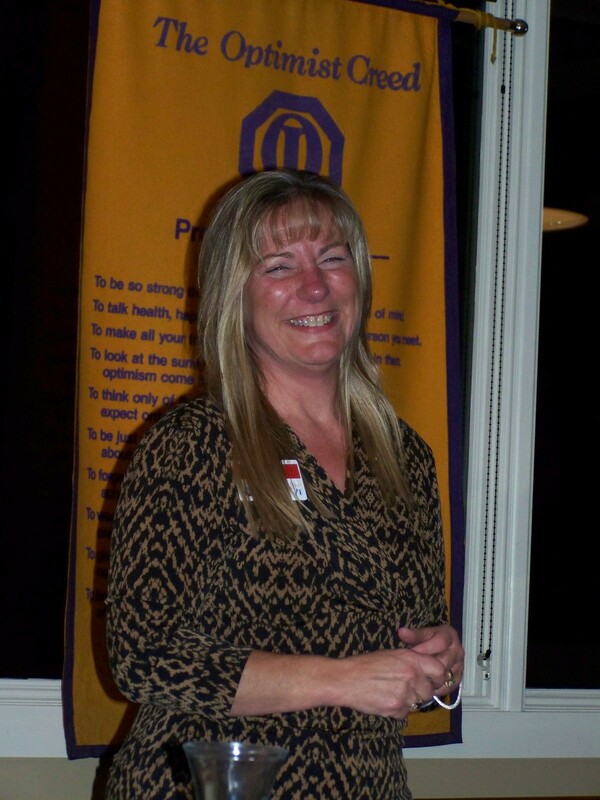 Their model takes the opportunity for a new Optimist Club directly to the schools and engages adults who are already interested in helping children reach their full potential. An Optimist Club provides insurance, scholarships, and fundraising opportunities that the school, parents, teachers and students would not otherwise have. It's an easy sell, but one that takes great coordination, time and passion to implement. I can't wait to say congratulations to Tom and the Arizona District - Optimist International in person. One of my dear friends says frequently that she is going to change it up. She might be talking about her diet, meetings, appointments, friends, or life in general; I don't know, for often she makes a small adjustment and keeps on going. That's because our habits, routines and traditions are hard to break and some of them do not need broken. Like my friend's minor adjustments, sometimes all that is needed is a fresh perspective, a new voice, or maybe a new beat. Earlier this week I heard this delightful arrangement by Chris Tart to an old song, "Love the One You're With." I knew immediately that it would be my choice for Music Sunday at Experience Optimism. Like the lyrics, Chris Tart knows how to change it up. Like my friend, he knows how to make just the right amount of adjustments to make the change acceptable to all. Not ready for change? No worries, please enjoy the original "Love the One You're With," by Stephen Sills. Visit myspace to download more from Chris Tart. You've heard the acronyms PIPA and SOPA, but do you know what they mean and how the bills now before Congress may affect you as an internet user, blog author, website owner or content creator? The proposed legislation has been designed to protect corporate users, major production companies and manufacturers, at the expense of others who use the internet for learning, sharing and networking for business and social activities. I am personally against PIPA and SOPA because we have legislation in place that protects us from copyright infringement issues while allowing fair use to the majority of online users, including students, instructors, and researchers, among others, who use the internet as a primary resource. Section 512 of Digital Millennium Copyright Act (DMCA) allows for take-down and put-back of infringing websites. Enforcement of existing laws would prevent the government from showing favoritism to the corporations that seek to monopolize the internet for corporate gains. See a list of the SOPA supporters here. Find out more about the Stop American Censorship movement and the Protect IP (PIPA) and Stop Online Privacy Act (SOPA) at this link: http://americancensorship.org/ and take action by contacting your legislators today. This "reviewing my life in order to write about optimism" decision is proving to be much harder than I imagined. Between work, school, and my multiple Optimist Club obligations, I haven't found the appropriate amount of time for reflection. But today I recalled a story from the past; a true story that makes me laugh, cry and feel optimistic all at once. Since true storytelling has been proclaimed the stylish, new and best motivator, I thought I should share it here. After you read the story, take time to reflect on how stories like this, among others, have influenced your life. Enjoy. I grew up around salespeople. Successful salespeople have a story that relates to whatever challenge is placed before them. About twenty years ago, just as caring for aging parents was becoming mainstream, Don, a salesman friend, gave me a lighthearted, yet profound glimpse into the aging process. Don's mom was living in a senior community; one that offered apartments for those who needed only a little help, graduated to assisted living when their needs elevated, and offered a smooth transition into skilled nursing if required. She was living in an apartment and my friend was afraid the time had come to seek more care. The problem: Mom wouldn't change clothes unless someone was in the apartment with her. It didn't have to be a relative; anyone would do, but personal care service was an elevated need and that meant moving. No one wants to tell mom that the day has come to relinquish her independence. Full of compassion, he arrived at the apartment for the talk; but first he was determined to find out what was going on. "Mom," he said, "Please tell me why you won't change clothes." Mom explained, "Don, I'm scared to." She looked around the room cautiously, leaned in closely, and whispered, "I'm afraid of the old lady that lives in my closet." Don went to the closet to show his mom that no one was living in there. She was hopeful and peeked in only to draw back, feeling betrayed. With wide eyes, she declared, "Why, she’s looking at me right now." Don knew what he had to do. As Mom returned to her favorite chair, he marched into the closet and told that old woman to leave. He took the mirror off the back wall, carried it out to his car, and his mom was able to stay independent for a few more years. This story has remained with me because it touched so many emotions including fear, acquiescence, sadness, happiness and optimism. Delivered in a conversational yet conspiratorial manner, the storyteller struck a fear that we all share, that we might someday live in a long-term care facility. As the story began, he explained the setting, set the stage and introduced a character well-known to all. Using body language, he became the character as he leaned in to whisper her remarks and then drew back imitating her response. I felt that I was there, sharing a special secret, one that I would never have with my own mother who was deceased. Best of all, the storyteller solved the problem in a way that made everyone smile. The listener could remain optimistic about their ability to stay independent and live a full, rich life. This week's selection for Music Sunday at Experience Optimism is obvious. Given the new year and my pondering about change, I chose to highlight a classic recording, "Changes" by David Bowie. When I found the song on YouTube, I was a little surprised at how normal Mr. Bowie appeared on the record cover for this album. In my mind, he has always been the flamboyant, almost psychedelic character Ziggy Stardust. Wanting to give a glimpse to you of how he looks now, I discovered that today is David Bowie's birthday and as he turns 65, he is contemplating a tour in 2012. Well, perhaps his fans are contemplating a tour more than he. The adage, the more things change, the more they stay the same, remains startling true. If you are considering change in 2012, I hope you remember to always be true to yourself. Be sure that the picture of you that others retain in their memory is the one you want preserved. In this Tedx Talk, Jane Fonda coins a number of apt phrases speaking about "The Longevity Revolution" and "The Third Act," but what touched me most was her assertion that most persons over fifty are happier because they have come to terms with their lives. Is it possible that we can live in this world for so many years, constrained by others views of what we should be and then only when we start to review our lives do we let go and become our true selves? If so, it is truly a blessing that we are given that third act to discover what is real. As I started off the year searching for direction, asking where do I take this blog from here, this video has helped me realize that what I need to do is be more authentic about how I relate to the experiences I have with optimism. How have conducting, reading about and promoting such activities changed me? Do such activities positively affect others? Do they truly make a difference or are they merely a means to occupy our time? Is occupation the purpose of living? I'll be fine tuning the format in the next few weeks with the above questions in mind. Please feel free to comment; let me know if I'm heading in the right direction. And as always, please tell us how you have been touched by optimism. It's that time of year when I reevaluate the direction of the Experience Optimism blog. I enjoy telling stories about Optimist Clubs; however, finding new stories to tell is sometimes a merciless task. Consider the week in December where we heard about Christmas tree lot after Christmas tree lot. If I were to report about scholarship opportunities such as the oratorical and essay contests, the same would be true. We would see week after week of the same activity from thousands of Optimist Clubs. But the redundancy is also one of the great benefits of conducting international programs and belonging to a federation of Optimist Clubs: we have the ability for nearly 3,000 Optimist Clubs to perform projects at the same time and generate publicity and awareness for what we do to make a difference in our communities. I can only ask, why does the international office not capitalize on such promotional opportunities? Why are they not coordinating our efforts? Where is the public relations campaign? Why are Optimist Clubs left to fend for themselves in a virtual communications abyss? For my first task of the new year, I think I will look for those answers. Maybe I'll return to my usual format. Maybe I'll find something to write about that is more useful for all. Stay tuned. It will be worth your time. As always, thank you for reading and sharing your optimism with me and with others. 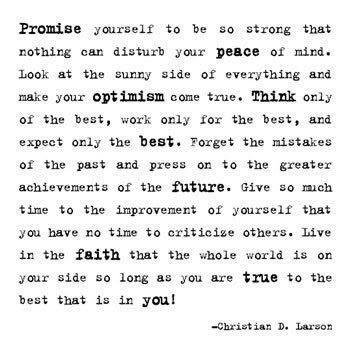 One of my favorite lines from the Optimist Creed: Promise yourself to wear a cheerful countenance at all times and give every living creature you meet a smile. Music Sunday at Experience Optimism chooses R. Kelly's "I Believe I Can Fly" to start off the new year. From Jan - " Happy January 1st 2012 everyone - Hope you have a supercalifragilisticexpialidocious first day of a new year." From Judi - " Wishing my friends a year of good health, much joy, a well paying job and 366 days of creating special memories. Friends are those who know our flaws, but care for & love us anyway. I am blessed to have so many in my life. Wish I could see & visit each of you this year. Know you are so often in my thoughts & prayers." From Dennis - "I am going to make 2012 the best because I am in control of it :)"
From the PNW District - Optimist International - "Promise yourself to do good things!" From the Middleton Area Optimist Club - "In 2012, we are counting on you being an optimist." From Cherie - " May the 2012 me be more patient, healthier, kinder, more grateful, and a better me than the 2011." And from me - "Let's laugh a lot, connect to friends, both old and new; and do one kind thing for someone else as often as possible."